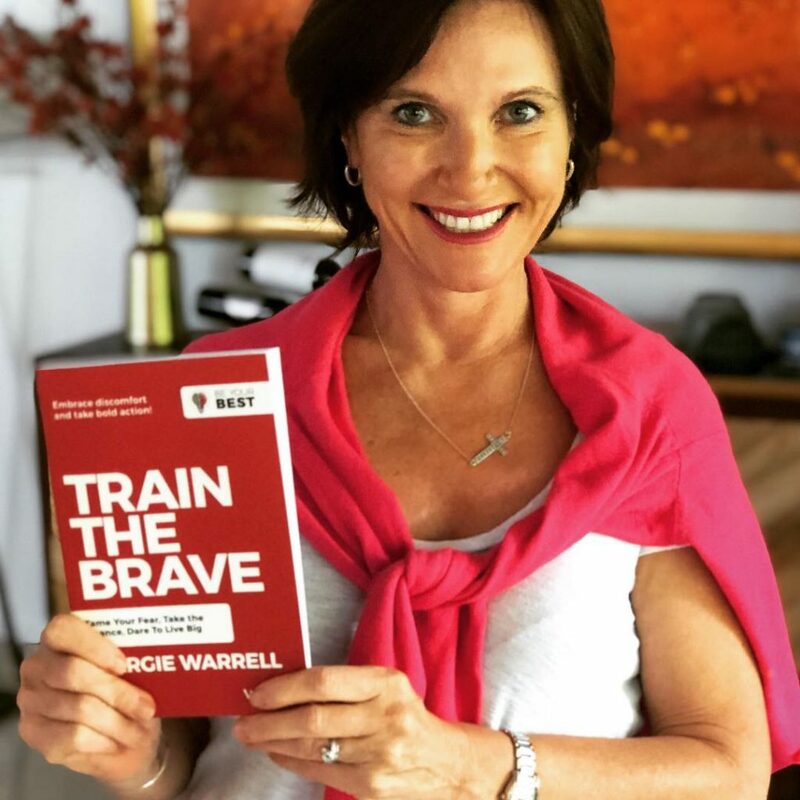 It’s why I wrote my book, Brave — which I am thrilled to announce has just been re-released as Train the Brave, part of the Wiley Be Your Best book series! Courage is a habit. Doing something brave every day – no matter how small – unlocks new possibilities for living a truly meaningful and deeply rewarding life. What does that mean? It means embracing discomfort and consciously choosing to risk falling short or losing pride, approval or short-term pleasure for the sake of something more important. While I don’t know which aspects of your life aren’t lighting you up or might even be pulling you down, I do know that addressing them will require courage in some way. So if you aren’t sure where to start, or just feel terrified that you don’t have what it takes to go after what you truly want, or change what you don’t, here I share ten acts of everyday courage to get you started on building your courage muscles for life, borrowed from the Train the Brave. I know that if you commit to one a day over the next ten days, ten days from now you will feel braver and your future will grow bigger and brighter. We fail far more from timidity than we ever do from over-daring. So if there’s an area of your life right now—your business, your body, your relationship status—in which you aren’t inspired about, set yourself a bold goal that really lights you up (even if it scares you a little, too). Like going on 10 dates in the next 10 weeks, or doubling your revenue in the next two years, or running a marathon. Most people underestimate themselves and never get to know what they’re capable of. Don’t be one of them. You’ve got to think bigger before you can act bigger. It’s very easy to fill your day being busy. The question is, busy doing what? If you are saying yes to the many “good” offers, invitations and opportunities that come your way, you could be using up all your capacity to pursue the truly great things waiting for you. Does saying no mean you might disappoint people occasionally? Sure. But better that than to feel disappointed in yourself later on. Sometimes you have to say no to the good to create space for the great. If you find yourself frustrated that you’re not getting what you want or need, consider that you may not have asked for it. People aren’t mind readers, and expecting them to know what you want often just ends in frustration and resentment. If there’s something you want, you’ve got to be willing to ask. Seriously, what have you got to lose? Even if they say no, at least you know where you stand. You aren’t perfect. You make mistakes. Sometimes pride, insecurity or even jealousy can get the better of you. Just as it does everyone. When it does, be big enough to own it and apologize for what you did, even if any hurt caused was unintentional, and seek to make amends. Your relationships will be all the stronger for it. It’s a general rule of life that you get what you tolerate. If you tolerate someone overstepping your boundaries, making snide remarks or overlooking you for opportunities, you can generally expect more of the same. By not making a very clear stand for what you will, and will not, tolerate, you become complicit in your own misery. So stand up for yourself, teach people how you expect to be treated and refuse to cower to those who seek to intimidate you. Many people wrongly equate self-promotion with conceit. It’s not. In today’s business world, it’s crucial. So lay false humility aside. Advocating for yourself isn’t about proving superiority or stroking a needy ego; it’s about letting the people who can help you share your talents do just that. After all, the more people who know what you want, the more who can help you get it. Too often, our fear of causing offense or ruffling feathers keeps us from saying what needs to be said. When writing my book Stop Playing Safe, Kathy Calvin, president of the United Nations Foundation, shared with me, “Whatever your career, you have to be willing to take risks, to speak up and to push back when you don’t agree with what others are thinking.” So don’t let your desire to be liked stop you from respectfully expressing your opinion. When all you do is try to fit in, “people please” and keep the peace, you negate the difference your difference can make. Some boats need rocking. We are wired with the tendency to continue investing in a losing proposition because of how much we’ve already put into it. So if there’s something you’ve been investing in (whether it be time, money or energy) that is clearly not working for you, have the courage to call it quits, learn whatever lessons you can, then move on. Every day you spend investing in something that isn’t moving you closer to what you most want is a day you aren’t investing in something that could. In short, if you’ve found yourself in a hole, stop digging. Gandhi said it perfectly: “The weak can never forgive. Forgiveness is the attribute of the strong.” Of course, forgiving isn’t about forgetting the past, but about letting go of using it against people. And yourself. To help you let go of a grudge, write a letter to whoever it is you’ve been angry toward and declare the time has come for you to let it go and move on. You don’t have to send it. You just have to write it. Holding onto anger leaves you walking through life with a ball and chain around your leg. Letting it go enables you to move forward lighter and liberated. Often, fear of making a wrong decision keeps people from making a right one. Yet while sitting safely on the fence of indecision can feel sensible in the short term, it can exact a steep toll on your success, business, relationships, finances and peace of mind. So take a few moments to sit quietly and tune into the inner voice of wisdom that knows what is best, then make the call. Life rewards action, not indecision. Only by deciding not to let fear sit in the driver’s seat and daring to do the very things that scare you, can you ever realize how capable and courageous you truly are. So start today by doing one thing that takes you out of your comfort zone. Repeat it again tomorrow. Each time you act in the presence of fear, you dilute its power and amplify your own. Grab a copy of Train the Brave, part of the Wiley Be Your Best book series today! 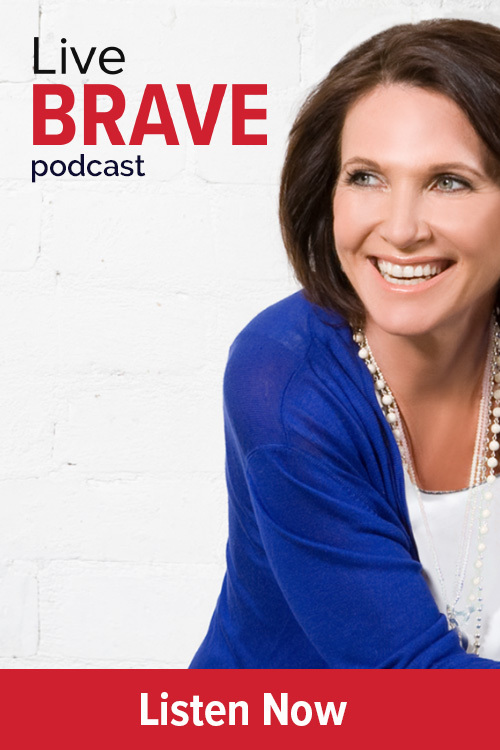 To mark the release of Train The Brave, I have recorded a podcast that dives into the psychology of building courage, conquering fear, taking risks and putting yourself ‘out there’.